Adam Savage is most well-known as his role on the popular show Mythbusters, however, I recently discovered that he briefly taught classes to industrial design students on, I think, model making. To say Adam is obsessed with objects would be an understatement. In fact, he recently sculpted some replicas of some of these obessions. 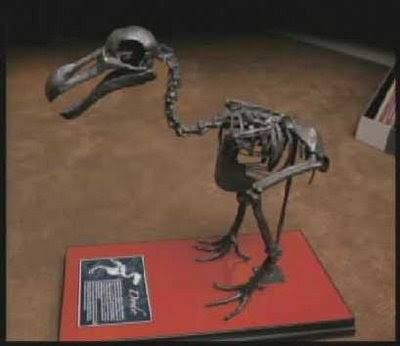 This is a replica of a Dodo skeleton that he constructed using a large amount of photo reference he had collected over the years. Simply amazing. To hear Adam explain his thought processes on object obsession and to be entertained for around fifteen minutes, watch this video.